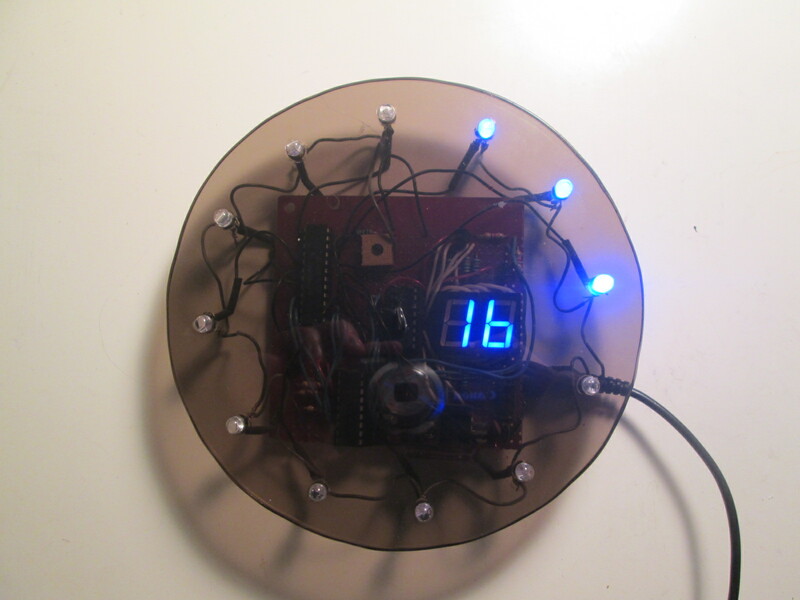 Going way back to 2006 actually, to my very first electronics project, a digital clock with an analog twist. I had very little experience in programming let alone electronics and back then, user-friendly prototyping platforms were not that common and mostly underground; the arduino had only came out the year before. 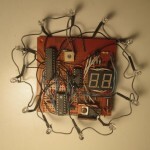 For many evenings in my dorm room I battled with a bunch of components and a serially programmed Microchip PIC16F628. I recall having loads of trouble getting inputs to the chip functioning, with the minutes and hours buttons activating or refusing to work with a mind of their own. The internet was not of much help but in the end I figured it out: pull-down resistors. No wonder I could not find anything on the subject, for someone with the least bit experience in electronics, it’s one of the most elementary concepts, akin to trying to troubleshoot a TV that’s not plugged in. For beginners attempting to learn electronics by themselves, its nothing but trivial. 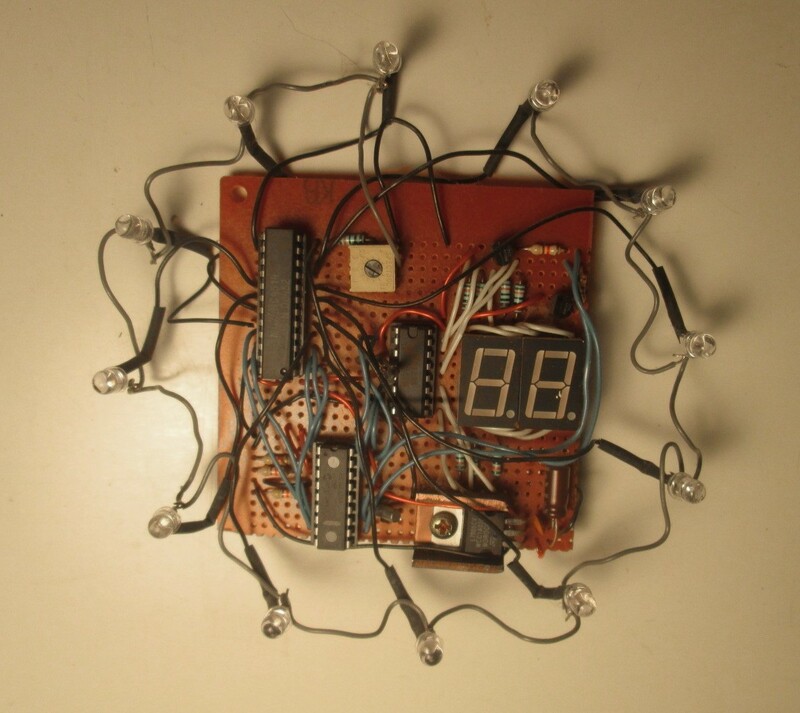 Eventually, I succeeded in putting a working clock together on the breadboard that I had. Back in my basement over the next break from school, I soldered the whole thing on a perfboard and equipped the circuit with a face plate. 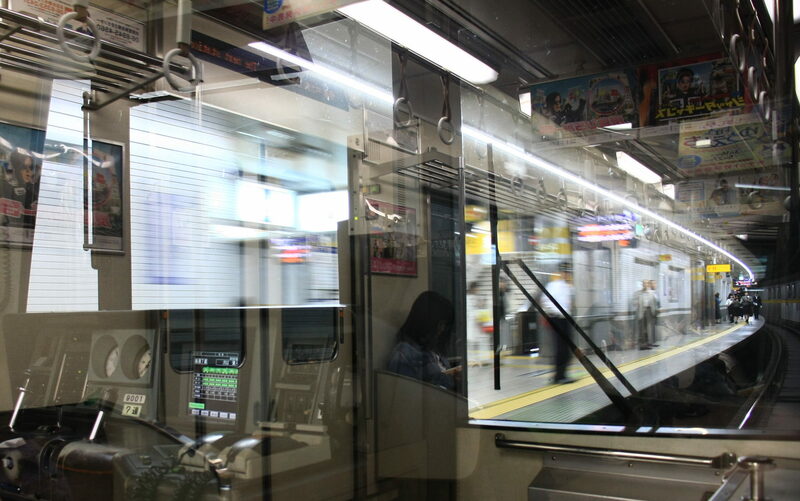 The programming is rudimentary, the circuit is much less than optimal and in spite of the 32kHz watch crystal, there is still a bit of drifting but I could not have asked for a better learning experience. Some LEDs have burnout, but even after those years, it’s still doing a fine job at reminding me that time is ticking.